Outback Elite Tours run tours above the highest standards in English, Italian or Spanish languages offering a unique, unforgettable and personalised experience to all Australian and overseas travelers. The tours offered vary from private charters to day tours with a maximum of 10 passengers. 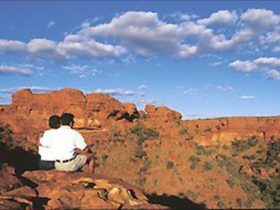 Apart from the classic 3 day tour which includes Uluru & Kata-Tjuta National Park and Kings Canyon, our tours can reach different and unique locations such as Rainbow Valley and Chambers Pillar at sunset or sunrise, the always stunning West MacDonnell Ranges, the unfairly forgotten East MacDonnell Ranges and Palm Valley. All these sites can be visited on a day trip or as an extension of our classic tour. Overnight camping or accommodated options available. The options are countless and tailored on customers requests. 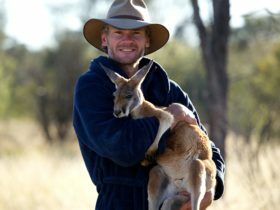 -in 2016 the Tourism Central Australia New Tourism Business Award. Summers in the Outback can get brutally hot so Outback Elite Tours have introduced a West MacDonnell Ranges tour designed to beat the summer heat and make a tour of this spectacular National Park even more enjoyable. So, whilst the big operators are sweating it out on the same old itinerary, our small group tours (maximum 10 passengers) are making the most of the amazing waterholes and river systems that the West MacDonnell National Park has to offer. Get ready to swim at Ellery Creek Big Hole, Ormiston Gorge, Glen Helen Gorge, Finke River and visit Simpsons Gap to try and spot some black footed rock wallabies. 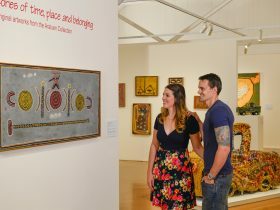 Depart your Alice Springs accommodation at approximately at 7.30 AM and visit the ‘West Macs’- a stunning natural wonder. Learn about this prehistoric mountain range – broken by a series of gorges and chasms – from your guide on the drive as you see and walk in iconic spots such as Simpsons Gap, Standley Chasm, Ellery Creek Big Hole, the Ochre Pits and, Ormiston Gorge, Mt Sonder Lookout and Glen Helen Gorge where also we will have lunch at the lodge. 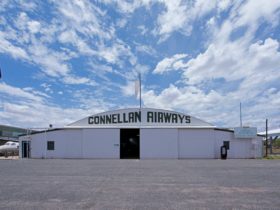 Finally, on your way back to Alice, make a brief stop at the famous John Flynn Memorial before drop off at your accommodation in Alice Springs at around 5:30 pm. The East MacDonnell Ranges or East Macs as known by local Centralians are every bit as beautiful as their famous cousins, the West MacDonnell Ranges. The East MacDonnell Ranges are ancient formations that reveal geological formations, fossils, picturesque gorges, Aboriginal Dreamtime stories and early European mining adventures. Outback Elite Tours East Macs tour has a feeling of getting away from it all, but we do it in comfort and style. 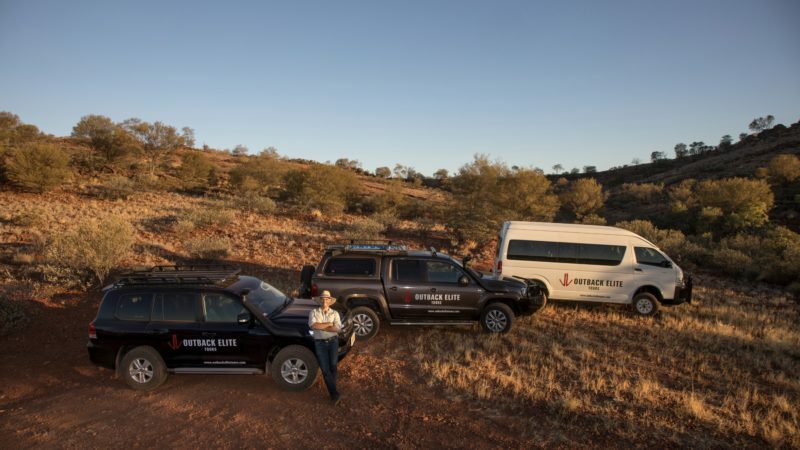 Outback Elite Tours loves to go where the big operators don’t, and our Chambers Pillar – Rainbow Valley tour takes you deep into the Red Centre’s beautiful and remote sand hill country, in comfort and style. Our 4WD adventure begins at sunrise as we follow the Old Ghan railway route south to the historic landmark of Chambers Pillar. On the way, we explore the ancient and sacred Ewaninga rock carvings which the local Arrente Aboriginal people have been visiting for thousands of years. Learn about the cultural significance of these astonishing petroglyphs . 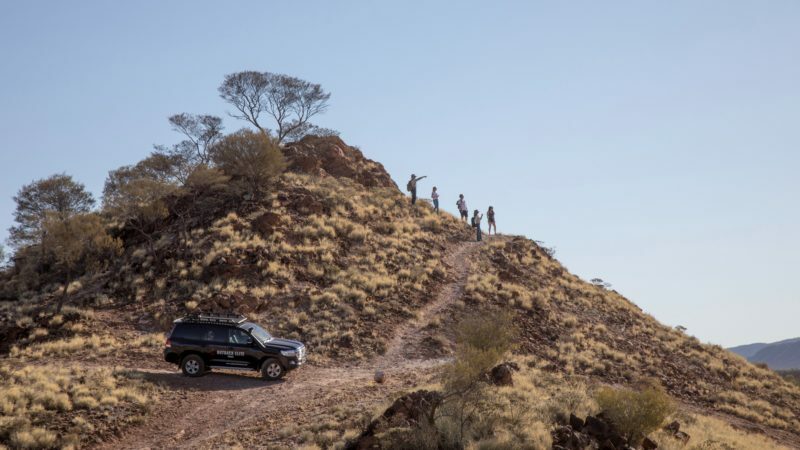 Our small group 4WD day tour combines an experienced and knowledgeable guide with the best of Central Australia nature. Although the day may be long, you will be able to sit back, relax and enjoy your journey and the great experience. 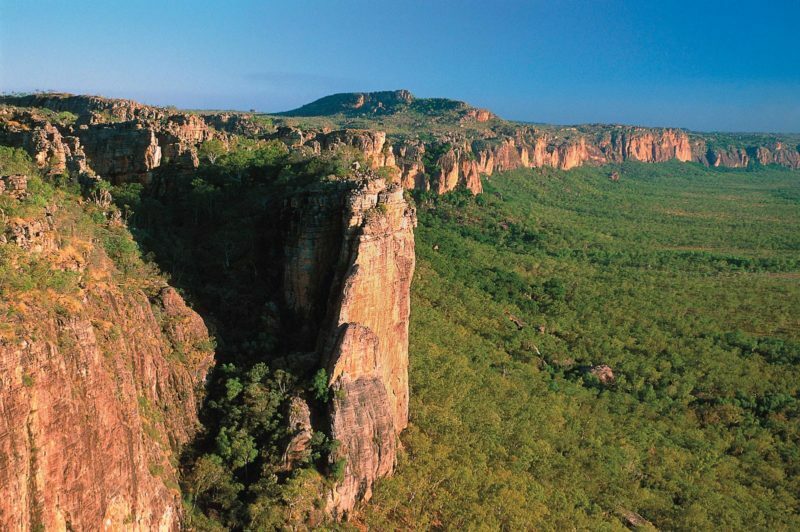 You will visit Kings Canyon and complete the amazing Rim Walk and also join an Aboriginal Cultural Tour. Hidden in the rugged Finke Gorge National Park, Palm Valley is one of the most impressive destinations in Central Australia. 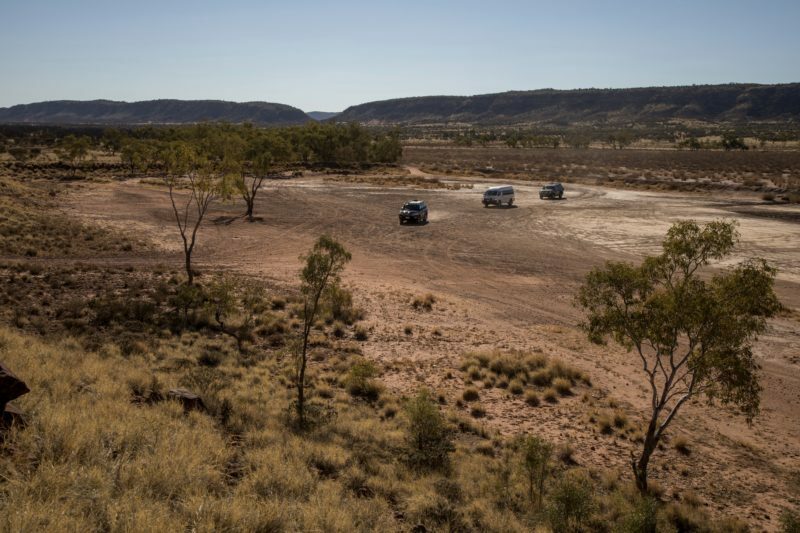 Outback Elite Tours small group 4WD adventure is like no other. Australia’s Red Centre has some of the most magnificent sunsets in the world and none are better than the sunsets at Rainbow Valley. And Outback Elite Tour’s Rainbow Valley Sunset Tour is like no other!